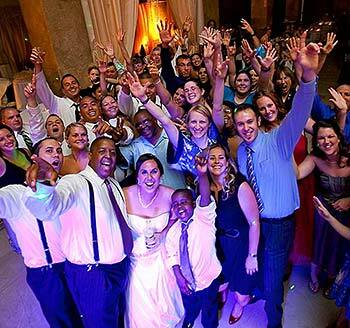 The Piano Man’s DJ Productions is proud to be known as one of the most recommended Wedding Professionals in the Capital District, performing for over 350 weddings every year. We have entertained at over 6000 weddings since our inception. This reputation results from over 23 years of consistently pleasing our couples, both at the wedding and during the planning stages. It’s our goal to make your day perfect. Piano Man DJ Productions believes that preparing for how you would like your day to go is just as important as performing at the event itself! We offer a unique personal consultation before your wedding day, in which your selected Musical Host will assist in planning your special day from beginning to end. Discussing and reviewing your online forms; special musical selections, bridal party announcing, and formality order are the main topics covered at this meeting. This appointment is usually made 2-3 weeks before your wedding day, but of course may be earlier if you request. Realize that this consultation is not a requirement, but a helpful tool at your disposal. Our clients sometimes simply complete & submit the online wedding reception form, followed by a short phone meeting, at their convenience. This especially works for couples planning their wedding day from out-of-town. Our flexibility, knowledge of the business, along with our devotion to the our clients, will make your day a dream come true. Your wish is our command. After reviewing your Musical Host’s profile web page, you may want to meet with him before reserving. Go for it! This allows the opportunity to get acquainted with your Entertainer, ask questions, and discuss further details about what we can offer you at your reception. 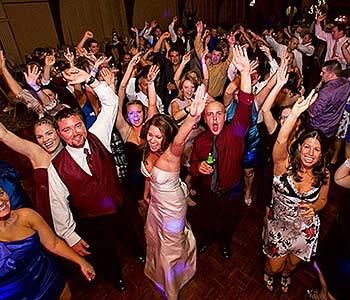 At Piano Man’s DJ Productions, we want to make sure you feel comfortable with your prospective Entertainer before reserving. Interview with Dave Bigler & Adam Conway discussing Pros of hiring a multi-op vendor in the wedding industry. It is part of his popular video series on Bigler Bridal Tips. WE CAN ALSO HELP YOU PLAN YOUR SANDALS HONEYMOON. 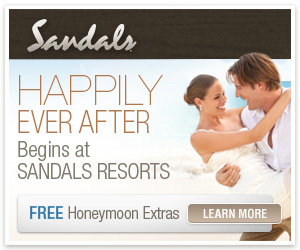 BOOK YOUR SANDALS HONEYMOON WITH US AND RECEIVE A FREE UPGRADE ON YOUR WEDDING DAY! WE HAVE A CSS, CERTIFIED SANDALS SPECIALIST ON STAFF TO ASSIST YOU. JUST FILL OUT OUR INQUIRY FORM AND ASK US HOW WE CAN HELP.